Wtorek jest dniem bezpłatnego wstępu. 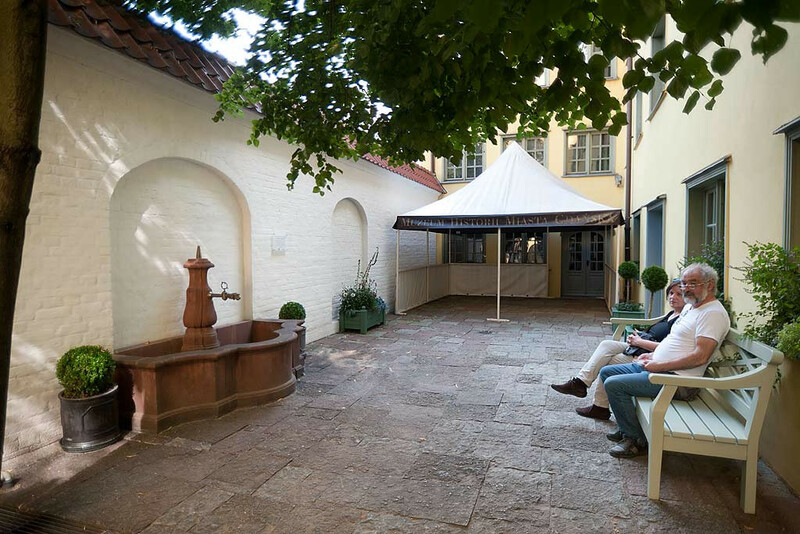 Bought in 1775 by Johann Uphagen, the town house was completely rebuilt by the master builder Johannim Beniemin Dreyer. 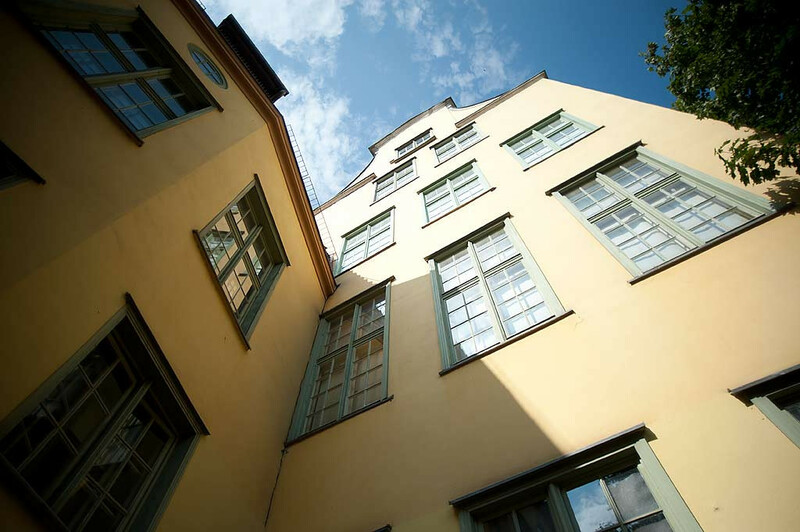 Uphagen moved into his new home along with his wife Agigail from the Borckman house on the evening of the 16th October 1779. 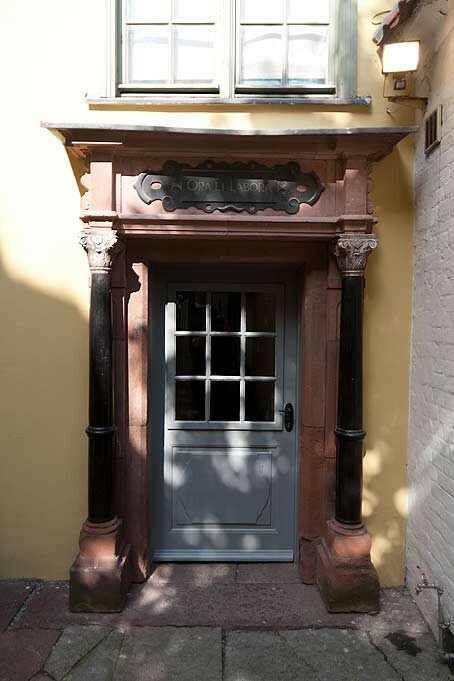 The work on the inside took years and it was only in January of 1787 that Uphagen was able to invite guests to his living room, which was the last to be finished. 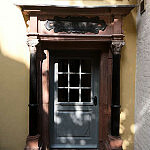 Uphagen lived in this house until the day he died in November 1802. 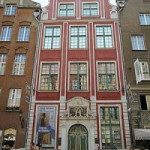 In 1981, Uphagen's House was made part of the History Museum of Gdańsk. In June 1998 the building was opened to the public. 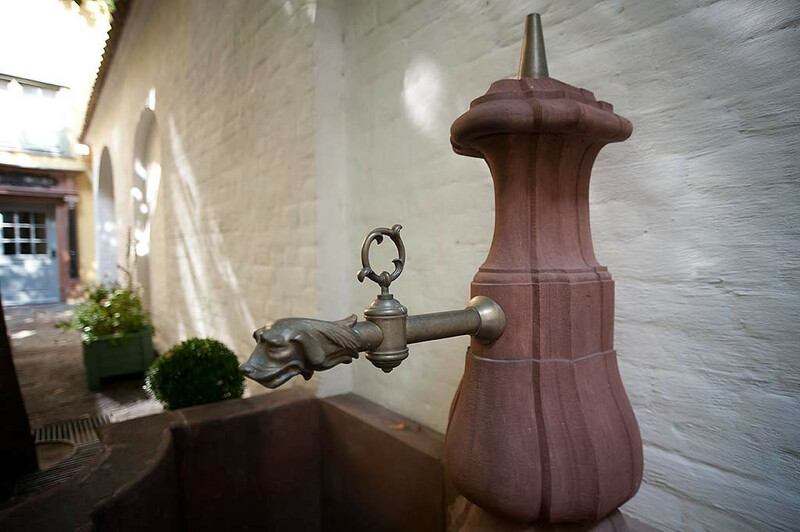 Uphagen's House is a reminder of the former greatness of Gdańsk. At one time it was one of many town houses. 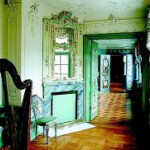 Today it is one where you can cross the threshold and see the furnishings and fittings of a late 18th century house. 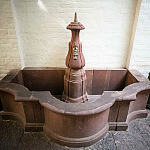 It is now part of the History Museum. 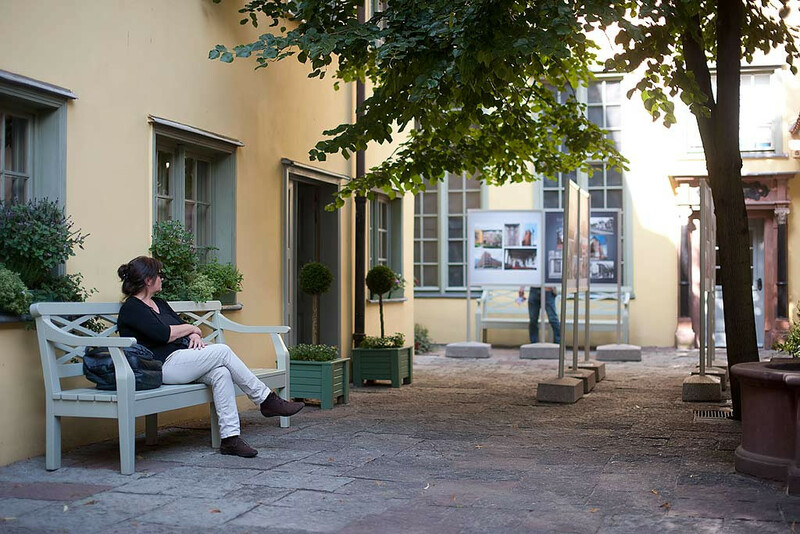 The new publication: Uphagen's House! 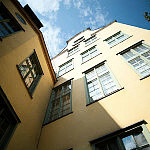 Otto Rollenhagen, analysis and description of Gdańsk town houses with particular focus on buildings from the Gothic to late renaissance period. Edition of an unpublished dissertation (1910-1915). Published by: Ewa Barylewska-Szymańska, Elke Bauer, Dietmar Popp i Wojciech Szymański. 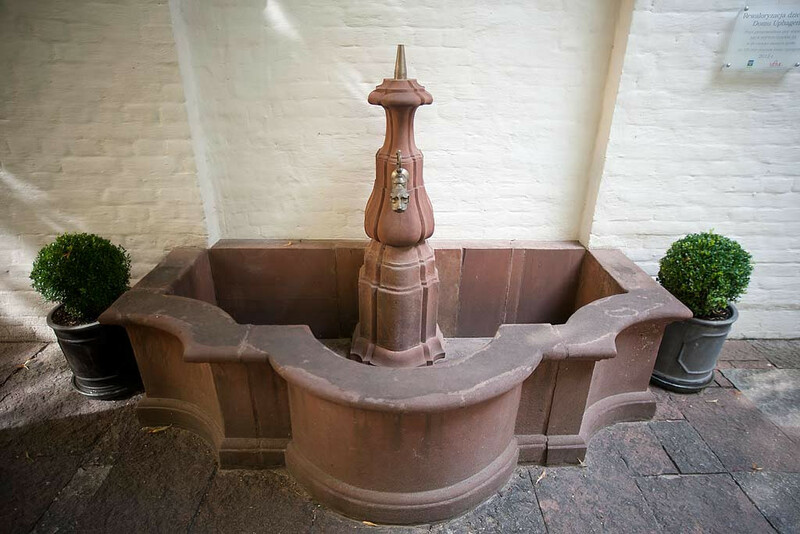 About the author: Otto Rollenhagen (1886-1951) studied architecture in Gdańsk from 1910-1914. 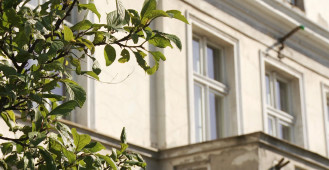 While training at a governmental building inspectorate, he wrote his disssertation on Gdańsk town houses, which for many reasons was never published. As far as we are able to establish, Rollenhagen never found his place in the professional world. After the first world war, he became a teacher in a school in Hoxten, and then from 1922 worked in Erfurt. In March 1945 while on early retirement, Rollenhagen escaped from Frankfurt nad Odra, leaving behing only one thing: his dissertation. After the war he lived in Oker near Goslar, where he remained until his death. About the edition of his work: The dissertation was published in German and Polish translation with the cooperation of two institutues - The Herder Institute in Marburg and Uphagen's House, as part of the History Museum of Gdańsk. 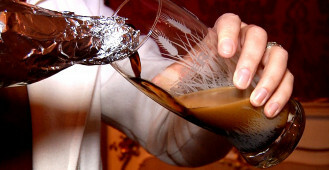 The publication was partially financed by the Polish-German Foundation of Cooperation. 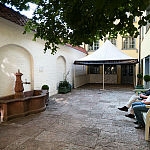 The dissertation was accompanied by two articles written by Elke Bauer (of the Herder Institute in Marburg), Otto Karl Albert Rollenhagen (1886-1951), as well as Ewa Barylewska-Szymanska and Wojciech Szymanski, The Department of Architecture at the Higher Technical School of Gdańsk (1904-1918) and the dissertation of Otto Rollenhagen (Uphagen's House). The work was published in A4 format, with 386 pages and 154 architectural drawings, etchings and photographs originating from Rollenhagen's work. About the dissertation: Rollenhagen's published work can be hailed as the returning to Gdansk of its historical heritage. The publication of Otto Rollenhagen's dissertation almost 100 years after it was written is an important event whose content is still relevant today. The author revealed this Gdansk townhouse to be a structure whose seperate elements are connected to and interdependent of each other. Rollenhagen while writing his dissertation made extensive research into archives; in other words, a modern approach to research. His iconographic material was also published, forming an integral part of his work. It consists of the author's own drawings, reproductions of etchings as well as collections of photographs from various Gdansk studios, including Robert Kuhn. The Bogdan Zdrojewski Prize from the Ministry of Culture and National Heritage for Uphagen's House, part of the History Museum of Gdansk, for the exhibition ', household silver in Gdansk from 1700-1816' in the competition for 'Museum Exhibition of the Year' 2007. On Friday 16th May 2008 in the Ballroom of the King's Castle in Warsaw, The History Museum of Gdansk received second prize in the category: Art Exhibitions. 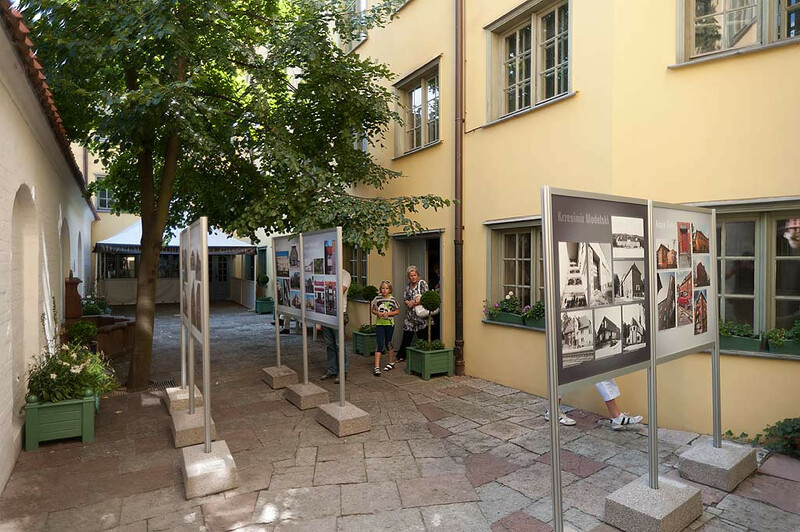 The exhibition was held during the 2007 tourist season. 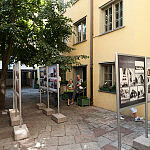 The exhibition was the first in polish museum history of never-before seen or exhibited work of Gdansk jewellers from 1700-1816. Ornamental silverware as well as less decorative works were on display, connected mainly with the culture of a townhouse and a court. The scale and class of goods produced by Gdansk goldsmiths is perhaps testified by the orders made by Michał Czapski on behalf of the district of Malbork. From 1757-1768 he put in dozens of orders for silverware from Johann Gottfried Schlaubitz, one of the most famous of Gdansk goldsmiths from the 18th century. He provided Czapski with 526 items, including more than 200 sets of cutlery and over 250 plates and bowls. 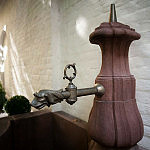 In turn, the goldsmith Michael Dietrich in 1735 was commissioned by Francziszek Czapski, to produce a dinner service, part of which was a plate kept by the History Museum of Gdansk engraved with the crest of the owner (exhibited). The greatest progress of the 18th century in the goldsmith trade was made in the last quarter. At that time there were around 40 workshops in the town. The most creative year was 1770: 48 workshops were in operation then. Up until the beginning of the 19th century, many Gdansk goldsmiths held onto the tradition from the middle ages, also found in many other towns, that the majority of workshops would be found on one street, often named after the trade. In the last quarter of the 18th century, most of the goldsmiths resided on three streets: - św. Ducha, Szerokiej and moreover on ul. Złotników (Goldsmith street), where 19 goldsmiths owned property. Alongside legally operating goldsmiths often educated in Gdansk, whose names appear in the archives purely on the grounds of complaints brought against them. Many of them operated on property belonging to the church, who had the right to employ one craftsman of each trade necessary. Apart from the silverware produced by Gdansk goldsmiths, the exhibition also included the works of masters from other towns (such as Berlin, Królewiec, Elbląg, Malbork, Riga) which appeared in Gdansk in the 18th century. The decision to display these works moved the direction of the exhibition towards displaying silverware of various functions, showing how different and varied the works were in terms of their use and decorative value. The exhibition accompanied the catalogue, which is a publication containing articles, a dictionary of Gdansk goldsmith terminology as well as a catalogue section. In the dictionary section, containing 200 entries, including many new terms, some data - until now appearing in literature - was corrected on the basis of archive research. The most relevant section of the publication is the cataloge, containing notes from dozens of authors. - Dr Ewa Barylewska-Szymańska, art historian and director of Uphagen's House, part of the History Museum of Gdansk. - Dr Jacek Kriegseisen, art historian, History Institute of the University of Gdansk. - Wojciech Szymański, art historian of Uphagen's House, part of the History Museum of Gdansk. 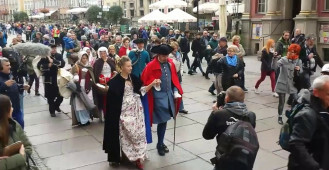 During the school year of 2007-8, The History Museum of Gdansk encourages pre-schoolers, primaries and secondary students to take part in museum meetings organized in the Town Hall (ul. długa 47), Artus' Court (ul. długa 43/44), Uphagen's House (ul. Długa 12), The Amber Museum (Targ Węglowy 26) as well as the Post Office Museum (ul. Obrońców Poczty Polskiej 1-2). Lessons are given during the school year. Should you wish to organise a lesson, please inform us at least 2 weeks before the planned visit, along with the topic of the lesson, the address and phone number of the school, the class and also the name of the teacher who will accompany the group. Special schools pay a one-off educational visit amounting to 25 zl. During the lessons only one class of 30 people maximum may join in. We kindly request that you arrive at the lessons punctually; an absence of 15 minutes may not be admitted to the lesson. tel: + 48 58 76 79 150 ; email: edukacja@mhmg.gda.pl. 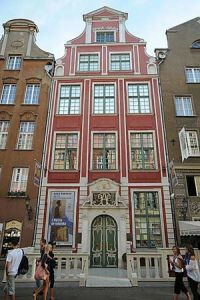 During lesson time, schoolkids visit Uphagen's House and learn about life in Gdansk in the 18th century. 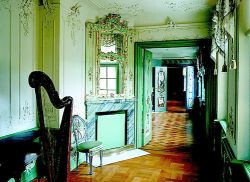 Attention is paid to how various rooms of the house were used: the living room, the music room, kitchen). 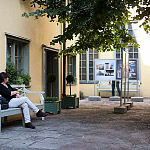 After their visit, schoolkids can take part in fun and games and a competition about the museum. Lessons are adapted to kids of all ages.